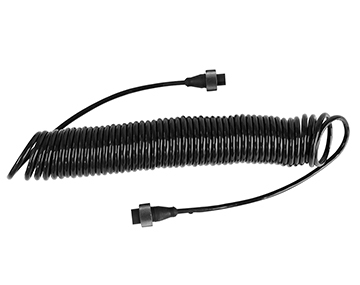 Trex-Onics® retractile coil cords provide the perfect blend of flexibility and industrial strength to meet your flexing power needs. The heavy-duty polyurethane TPE jacket provides excellent protection from industrial and environmental abuse by resisting tearing, abrasion, oils, ozone, UV rays, and most chemicals. The conductors are insulated with a material that has a low coefficient of friction, which allows them to flex within the cable and provide one of the most chemically resistant compounds on the market. The conductors are also finely stranded and tinned to resist corrosion and make them easy to solder. 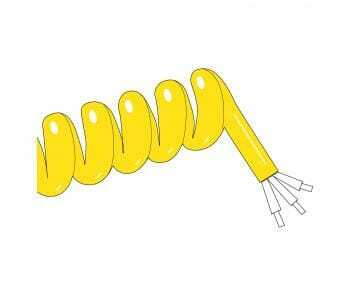 This overall unique construction provides a durable yet lightweight design offering superior coil retention and “snappiness.” You can trust this Trex-Onics product for high performance and continuous cycle applications. Please click on the image of the product to learn more.